Each year we do many volunteer projects in the Saint Petersburg, Florida and Tampa Bay area. Below lists a variety of the projects but not all. We add in new projects based off recommendations of our club memebers. 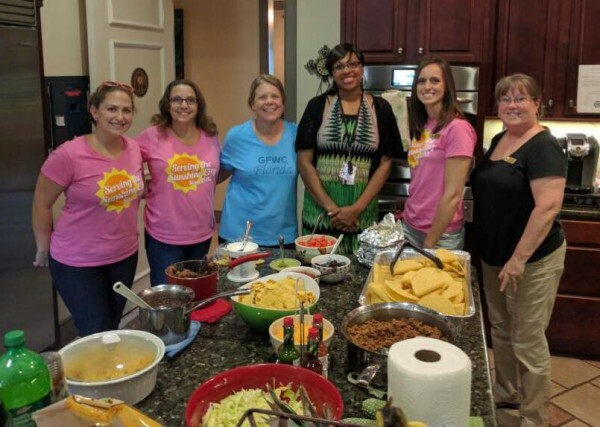 We cook a meal at Ronald McDonald House, a home environment providing support and resources that help keep families together while their children get care. Only 10 participants are allowed in the kitchen the day of the event due to safety regulations. Juniors not participating on the day of are asked to donate food if possible. Juniors make fleece blankets for cancer patients currently undergoing chemotherapy at a local cancer treatment center. Blankets are made from large squares of fleece fabric with the edges cut into fringe and tied. Blankets are given to the patients by the treatment center to keep, with an uplifting note from our club. Juniors will volunteer to assist with park cleanup at Boyd Hill Nature Preserve based on the organization’s needs at that time. Boyd Hill Nature Preserve spans across a unique microcosm of Florida landforms in its 240 acre wilderness. During a monthly meeting in August we will collect new underwear to donate to Clothes to Kids. Clothes to Kids mission is to provide new and quality used clothing to low-income or in crisis school-age children, free of charge. Molly’s Adopt a Sailor program sends “love” to deployed US military personnel via cards, letters, and care packages. Juniors assist with collecting supplies for the care packages and pack the supplies when a local Packing Party is held. Juniors host a few themed parties for the children of the Sallie House. We bring food and craft projects to have a fun hands on night! Sallie House is a safe haven for children, infant to seventeen years of age, who have been removed from their home because of abuse or, neglect or — even abandonment. The Saint Petersburg Junior Woman’s Club is proud to support many organizations throughout the local community. We add in new charities occasionally so our support is not limited to only these organizations. Fill out this form and we will be in touch soon. 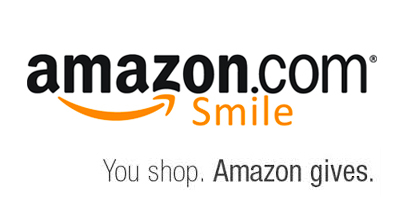 Support us through Amazon Smiles! All you have to do is click on this image. It's that easy! Amazon will automatically select us as your charity of choice. With Juniors, it is all about the love!